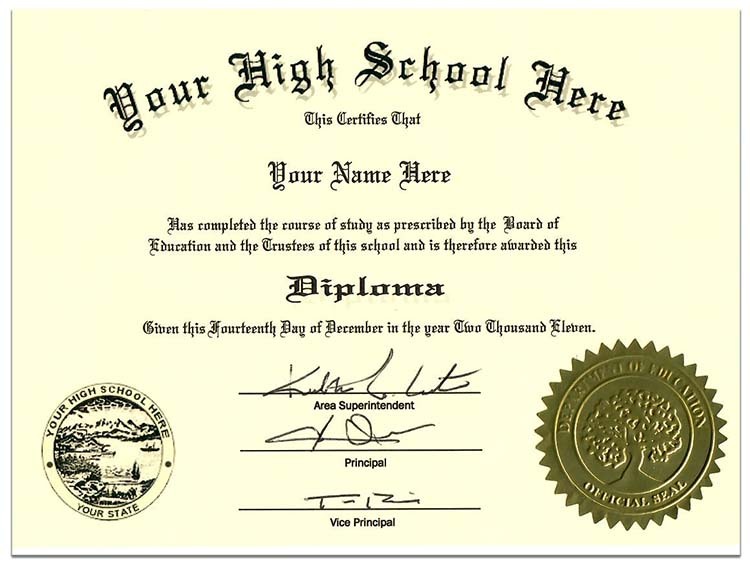 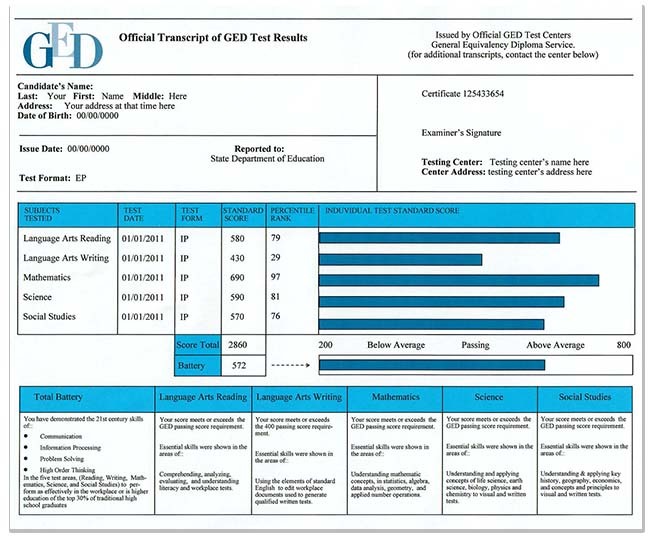 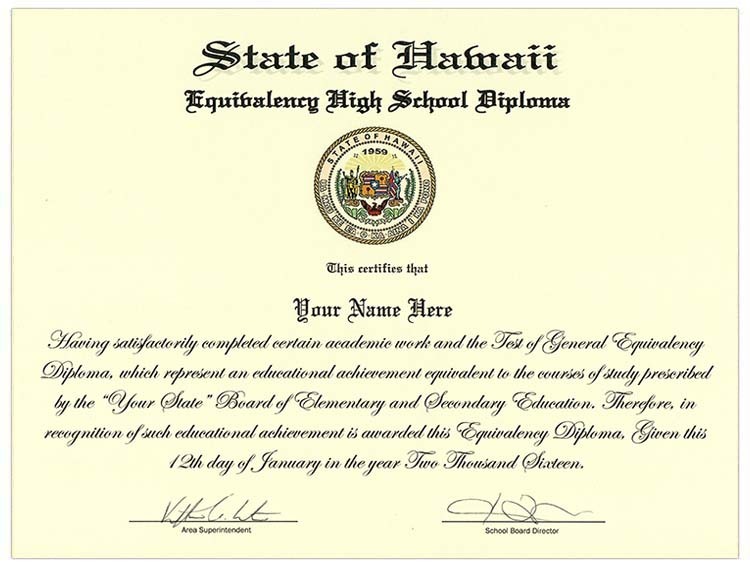 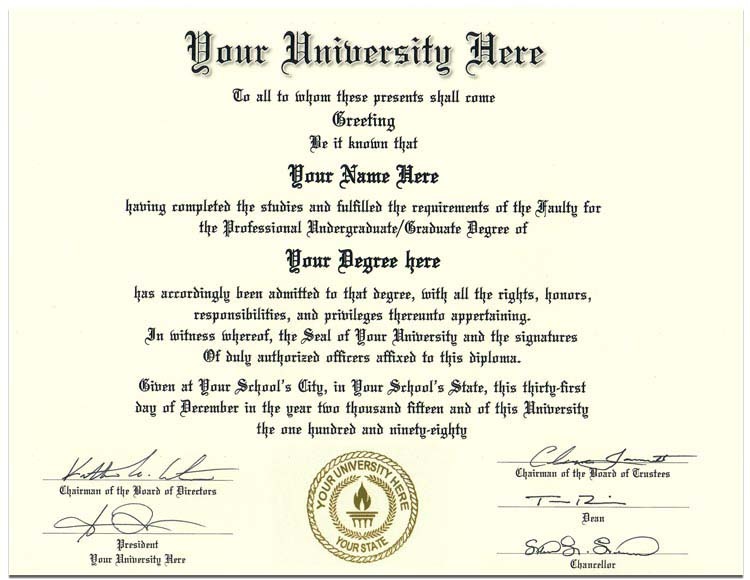 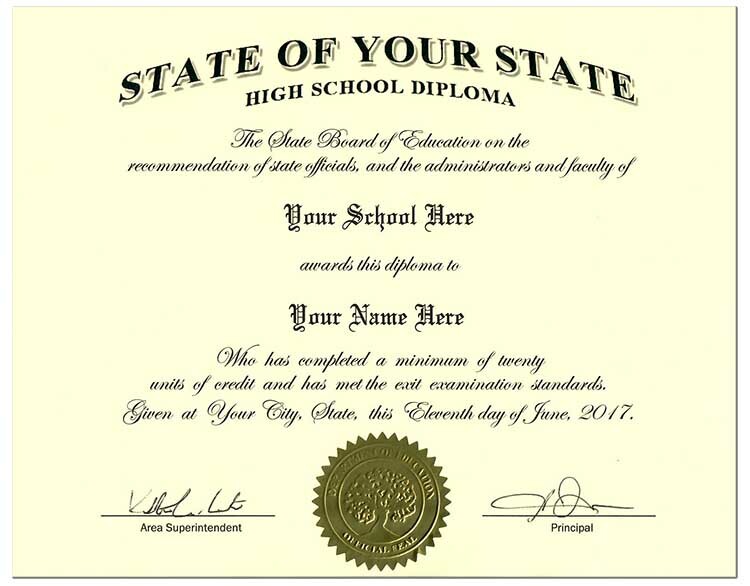 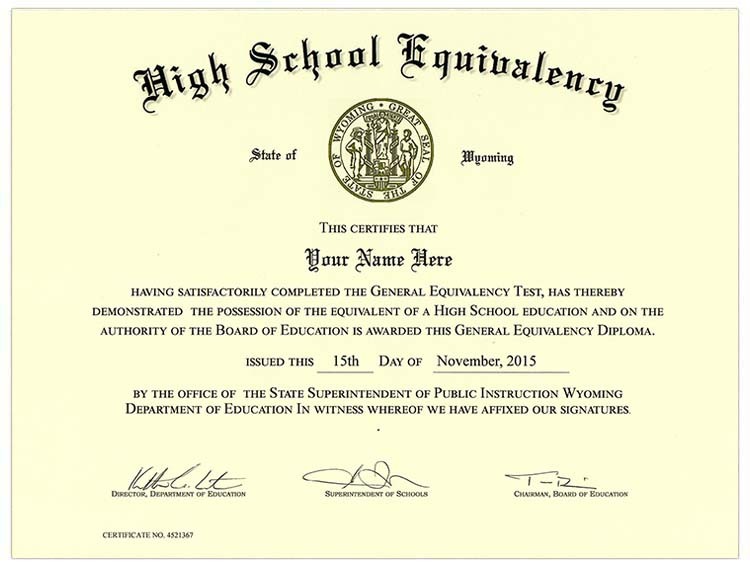 Our style 2 fake GED certificate is printed on real diploma paper and the optional scoresheet is on real security paper. 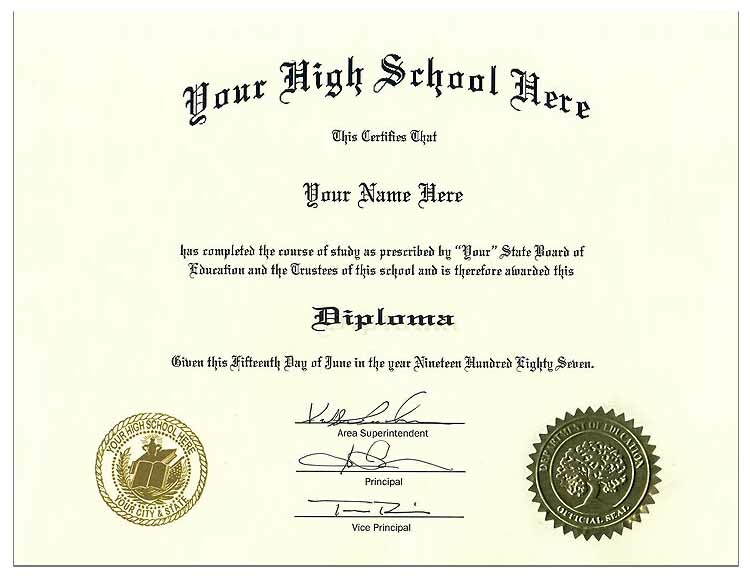 This Fake GED certificate comes in your choice of bone or white paper. 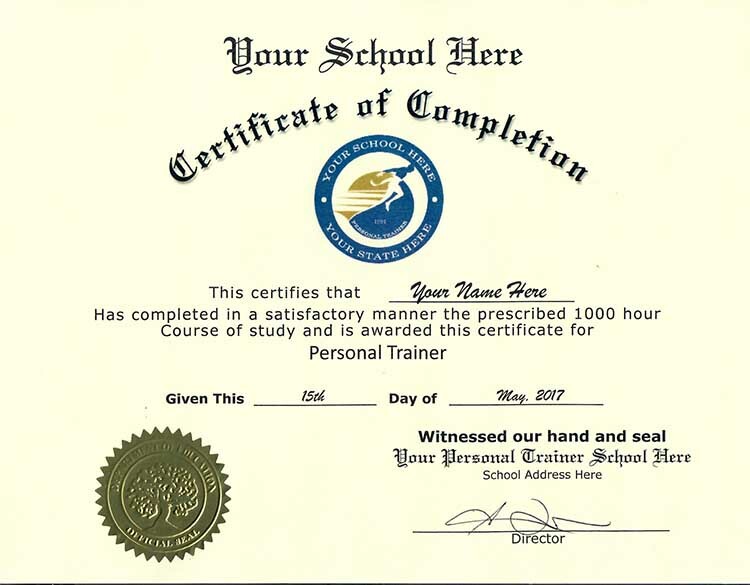 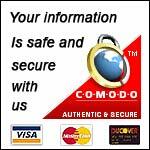 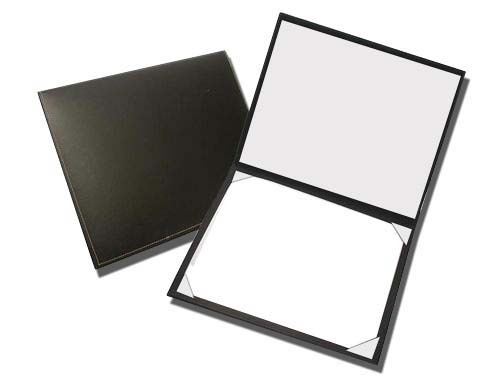 This certificate is only available in size 8 1/2"X11". 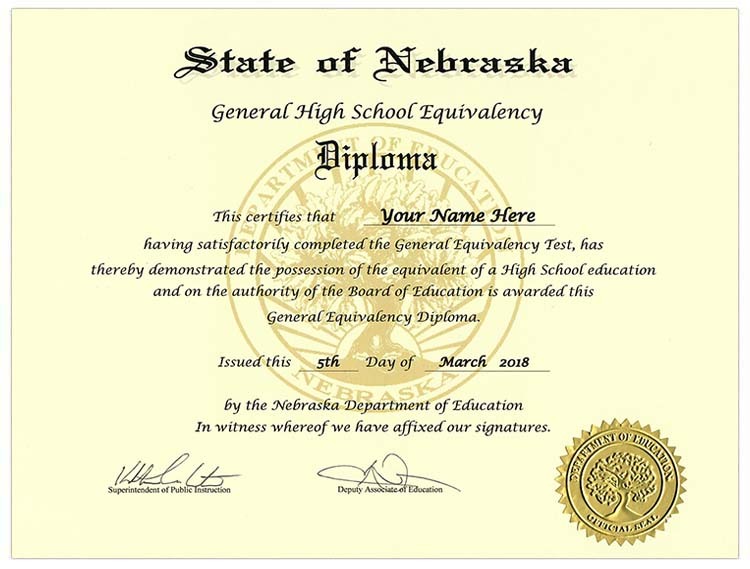 Your GED will have the dep artment of education backround seal with your state on it and an embossed gold foil Department of Education seal.